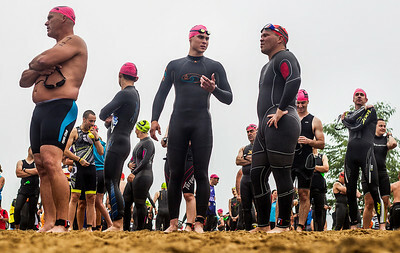 Kyle Grillot - kgrillot@shawmedia.com Triathletes gather on the beach of Three Oaks Recreation Area before the start of the Illinois Triathlon Championship Sunday, June 22, 2014 in Crystal Lake. 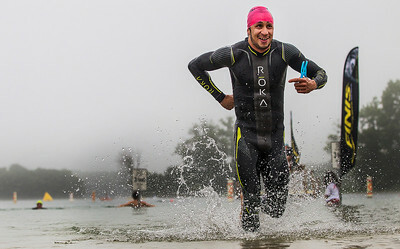 Kyle Grillot - kgrillot@shawmedia.com Christopher Rodriguez of Oakwood Hills enters the water at Three Oaks Recreation area as he begins the Illinois Triathlon Championship Sunday, June 22, 2014 in Crystal Lake. 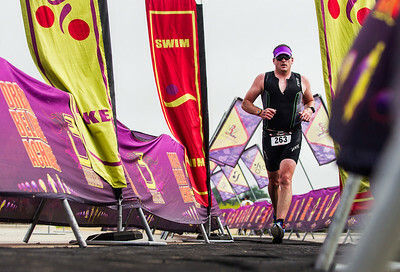 Kyle Grillot - kgrillot@shawmedia.com Olympic distance triathletes, including Brian Bruenig of Algonquin (right), prepare to enter the water at Three Oaks Recreation area during the Illinois Triathlon Championship Sunday, June 22, 2014 in Crystal Lake. 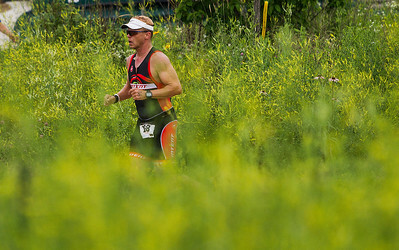 Kyle Grillot - kgrillot@shawmedia.com Triathletes join together at Three Oaks Recreation Area before the start of the Illinois Triathlon Championship Sunday, June 22, 2014 in Crystal Lake. 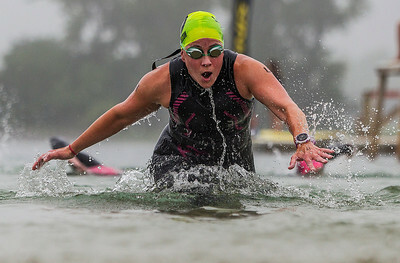 Kyle Grillot - kgrillot@shawmedia.com Kristin Arntzen of Libertyville emerges from the water at Three Oaks Recreation area as she finishes the swimming portion of the Illinois Triathlon Championship Sunday, June 22, 2014 in Crystal Lake. Kyle Grillot - kgrillot@shawmedia.com Timothy Suter of Dekalb rides toward completion of the cycling portion of the Illinois Triathlon Championship Sunday, June 22, 2014 in Crystal Lake. 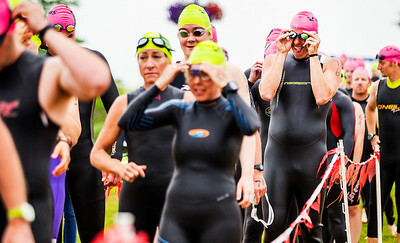 Suter won the sprint distance triathlon with a time of 1:05:51. 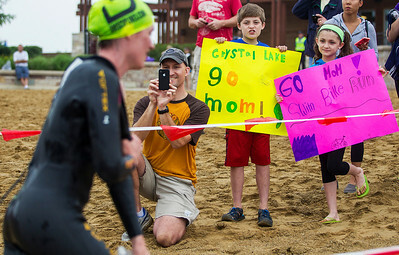 Kyle Grillot - kgrillot@shawmedia.com Jamey Dunham of Cincinnati (from left), takes photos while his children Sam, 11, and Zoey, 9, cheer on their mother Laurie, as che competes in the Illinois Triathlon Championship Sunday, June 22, 2014 in Crystal Lake. 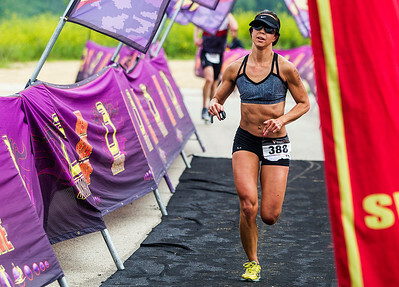 Kyle Grillot - kgrillot@shawmedia.com Stephanie Dingman competes in the sprint aqua bike race at Three Oaks Recreation Area during the Illinois Triathlon Championship Sunday, June 22, 2014 in Crystal Lake. 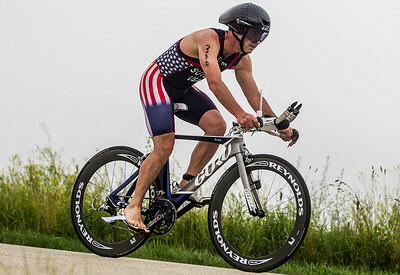 Kyle Grillot - kgrillot@shawmedia.com Jon Smail of johns burg competes in the running portion of Olympic triathlon at Three Oaks Recreation Area during the Illinois Triathlon Championship Sunday, June 22, 2014 in Crystal Lake. Kyle Grillot - kgrillot@shawmedia.com Tom Fox of the Village of Lakewood runs the final meters of the running portion during the Illinois Triathlon Championship Sunday, June 22, 2014 in Crystal Lake. Kyle Grillot - kgrillot@shawmedia.com Timothy Suter of Dekalb celebrates his completion of the Illinois Triathlon Championship Sunday, June 22, 2014 in Crystal Lake. 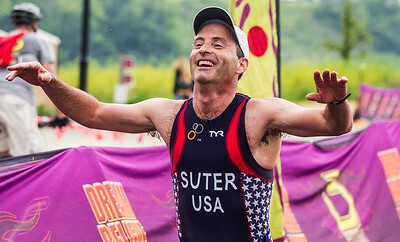 Suter won the sprint distance triathlon with a time of 1:05:51. 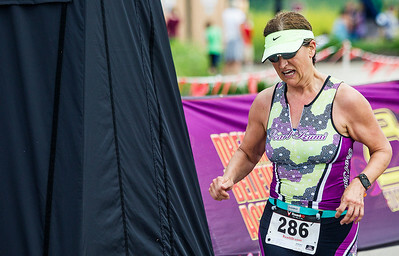 Kyle Grillot - kgrillot@shawmedia.com Jill Hunt of Woodstock crosses the finish line as first place female sprint triathlon of Illinois Triathlon Championship Sunday, June 22, 2014 in Crystal Lake. Kyle Grillot - kgrillot@shawmedia.com Lindsey Yoshimoto of Crystal Lake runs the final meters of the running portion during the Illinois Triathlon Championship Sunday, June 22, 2014 in Crystal Lake. Kyle Grillot - kgrillot@shawmedia.com Katrina Smith of Murfreesboro, Tenn. celebrates her completion of the Illinois Triathlon Championship Sunday, June 22, 2014 in Crystal Lake. Kyle Grillot - kgrillot@shawmedia.com Christopher Rodriguez of Oakwood Hills hugs his grild friend, Molly Hillig of Cary, after winning the Illinois Triathlon Championship Sunday, June 22, 2014 in Crystal Lake. 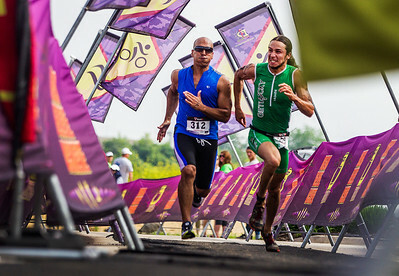 Kyle Grillot - kgrillot@shawmedia.com Pablo Matias of Algonquin (left) and Christopher Rodriguez of Oakwood Hills race to the finish line during the Illinois Triathlon Championship Sunday, June 22, 2014 in Crystal Lake. 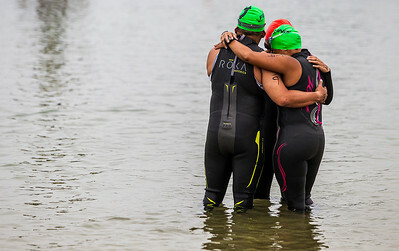 Rodriquez won the Olympic distance triathlon with a time of 2:11:43. Kyle Grillot - kgrillot@shawmedia.com April Bouchard of Cary celebrates her completion of the Illinois Triathlon Championship Sunday, June 22, 2014 in Crystal Lake. 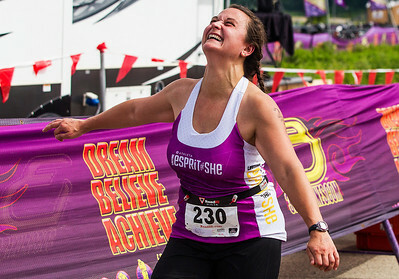 Katrina Smith of Murfreesboro, Tenn. celebrates her completion of the Illinois Triathlon Championship Sunday, June 22, 2014 in Crystal Lake.